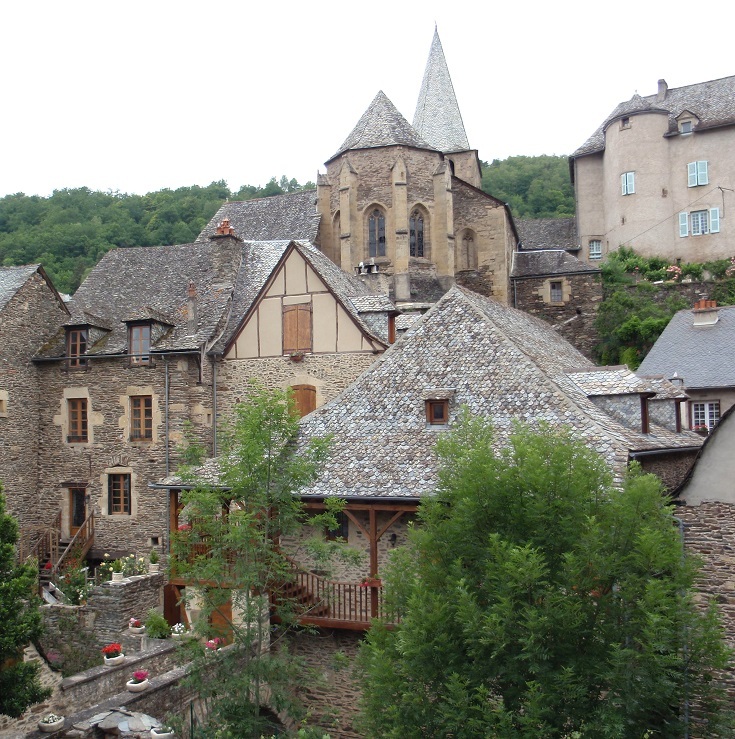 One hundred and fifty-five kilometres (100 miles) after leaving le-Puy-en-Velay, the Chemin de Saint-Jacques reaches the ‘most beautiful village’ of Estaing. Sitting on a bend of the River Lot and dominated by an imposing eleventh-century château, the village presents a breath-taking view—almost daring you to keep walking without getting out the camera. 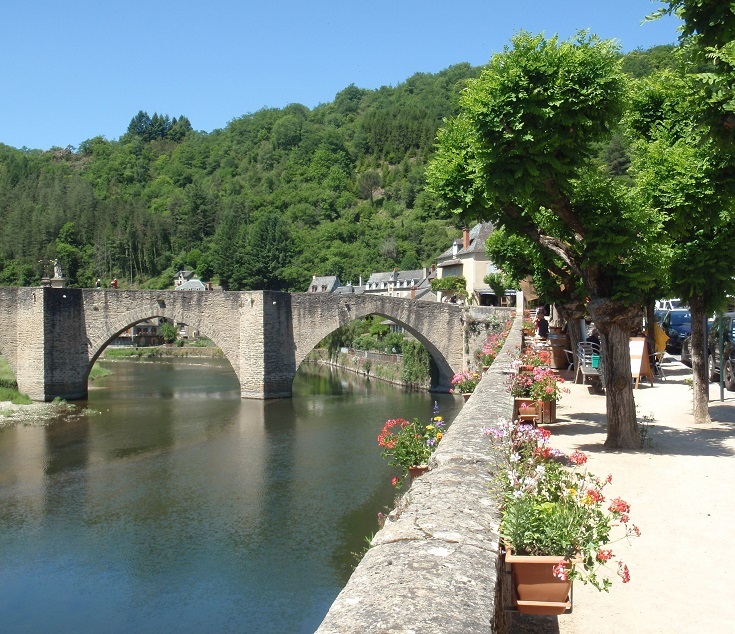 I recommend a shorter walk on the fourth day of walking from Aumont-Aubrac to Figeac, arriving in Estaing around lunchtime and leaving the afternoon free to relax. There are plenty of picturesque corners to explore or to simply sit and rest your feet. Every afternoon (except for Wednesdays), the staff at Café du Quai set out tables and chairs along the footpath beside the river. You’ve earned a rest, even if you’ve only come eleven kilometres (seven miles) from Espalion, so find a seat overlooking the river. In addition to the usual choice of cold drinks and coffee, Café du Quai also serves an extensive range of ice-cream. 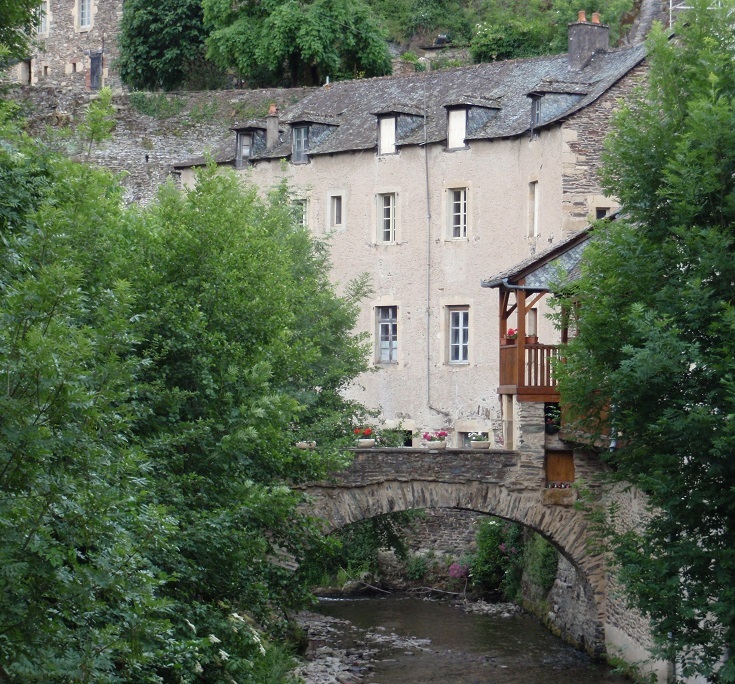 From the river, head up Rue François d’Estaing. Tucked away behind the buildings on your right is the fifteenth-century church dedicated to Saint-Fleuret, a priest who died here in 621 AD while on a pilgrimage to Rome. 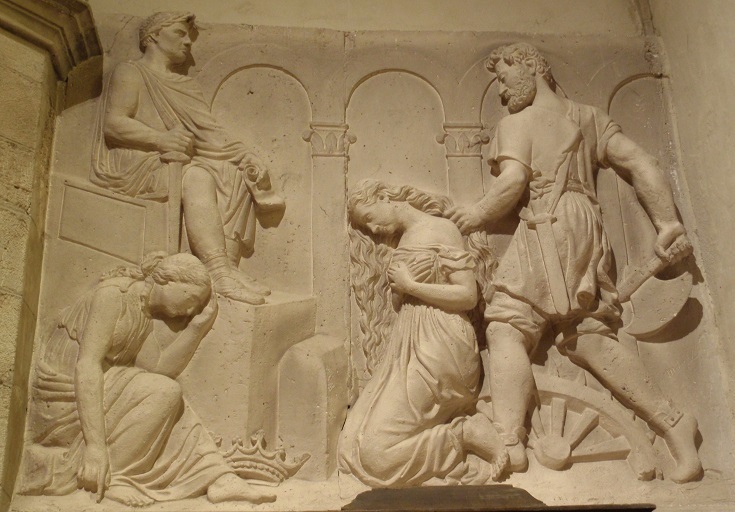 Like all good saints, he performed many miracles and a procession is held in his honour on the first Sunday in July. The inside of the church is beautifully decorated in shades of gold and blue and displays an interesting collection of carved panels, including a poignant image of a young girl about to lose her head. 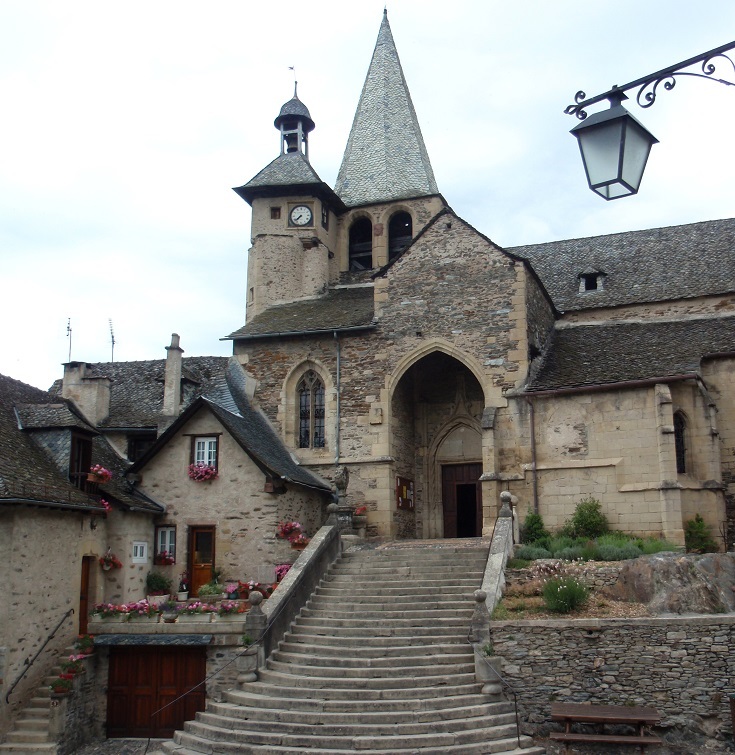 Across from the church stands Château d’Estaing—an imposing structure that dominates every view of the village. The château was built in the eleventh century but has been expanded over time, with extensive renovations being completed in recent years. 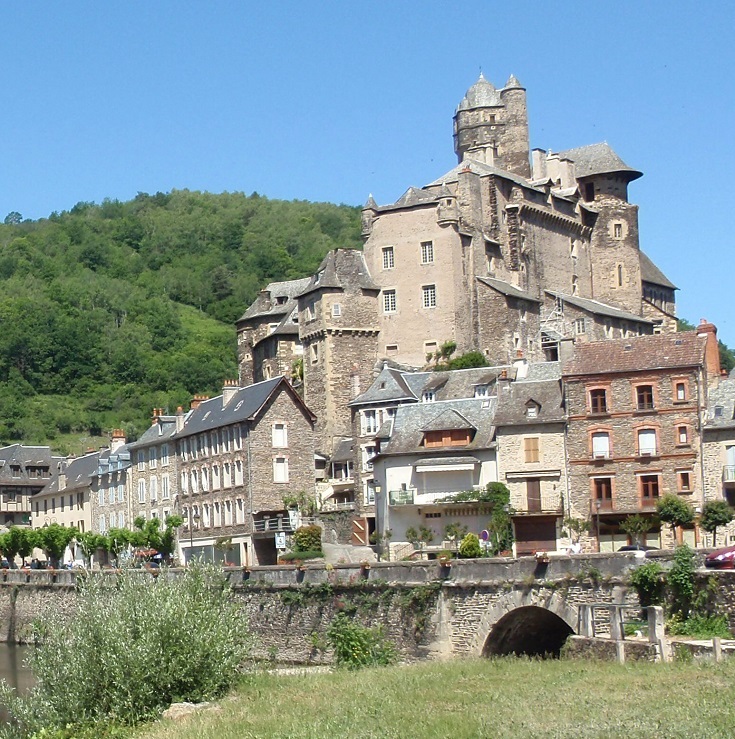 For most of the last 800 years, this grand building has been home to the ruling family of Estaing, many of whom have played important roles in the military and religious history of the region. Since 2005, it has been owned by Valéry Giscard d’Estaing—President of France from 1974 to 1981. Some of the rooms that are open to the public display an exhibition dedicated to his life and career, while others provide information about the room’s original use. The château can be explored at your own pace or guided visits are available. 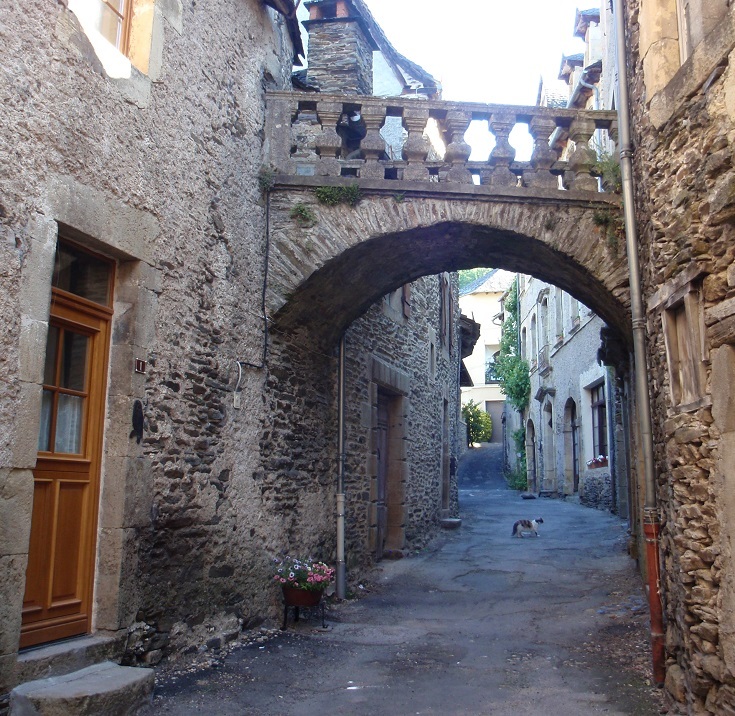 Every corner in Estaing is a photo opportunity and every fork in the road is an agonising decision. No matter which way you choose, the views will be splendid and if you wander aimlessly for half an hour or so you are bound to cover most of the village. 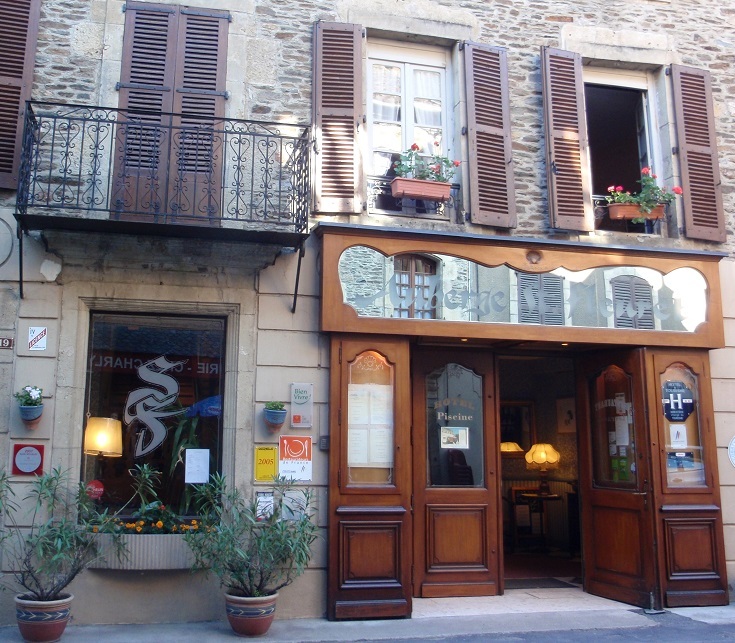 After a long day walking and sight-seeing, you deserve a good dinner and l’Auberge Saint-Fleuret offers delicious regional cuisine made from local produce. If the weather is warm, tables are set out on the vine-covered back terrace but cooler nights may be spent around the fire. 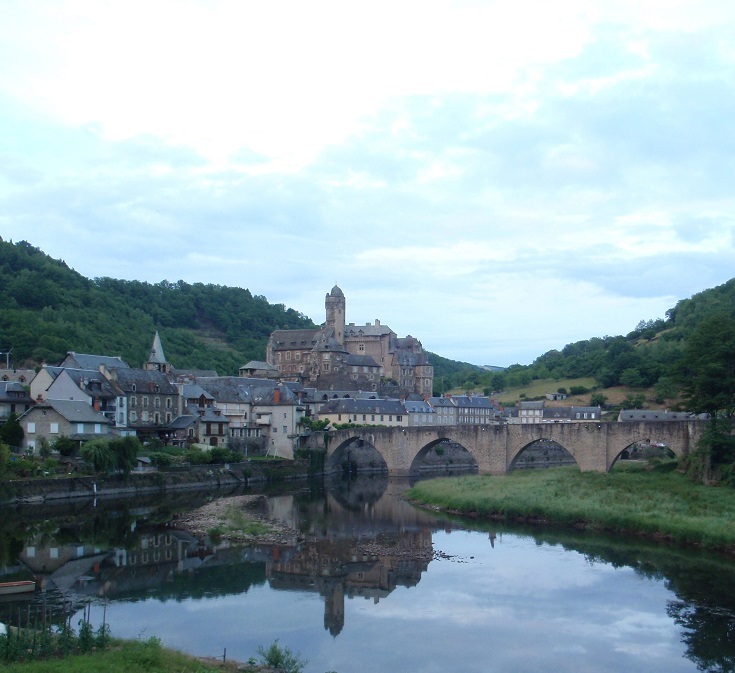 Which long-distance walk visits Estaing? 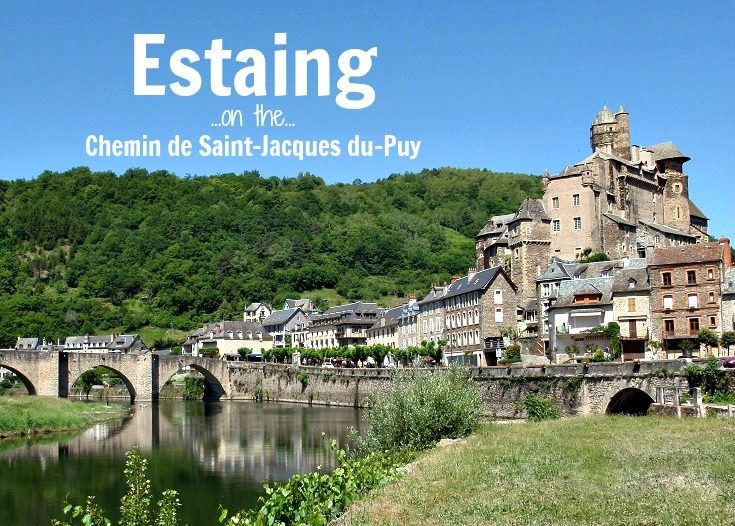 I’d never heard of Estaing before this, Melinda, but given your description of how picturesque it is, somehow I suspect I’d be tempted to stay much longer than half a day. 🙂 How long did it take you to do the Chemin de Saint-Jacques?